You appreciate fine craftsmanship and history. That is why you have scoured the markets looking for the perfect pieces of antique furniture to bring home. But, how do you make different styles of antique and vintage furniture items mingle with one another? Believe it or not, mixing different patterns, colors and even styles is fashionable. By mixing antique, traditional and modern designs together, you can achieve a truly customized look for your home. Embrace the Contrast – There is nothing wrong with various colors, patterns and even styles. Celebrate the fact that you have different styles and put them together to create something original. Do Not Get Rid of What You Have – Often, homeowners make the mistake of getting rid of furniture they already have to bring in a piece of antique furniture. Instead, embrace and enjoy the furniture pieces you already have and combine them well. Add Contrasting Elements – Add contrasting décor elements to make the room more interesting and help offset any mismatched styles. For example, if you have dark woods mixed with cottage style furniture, add bright, bold colors to make it striking. Think “Eclectic”- This term is used by interior designers to describe a home that combines the old and new, square and round, bright and dull. By combining different textures, patterns, and finishes, you can create an eye-catching, trendy look. Limit the Color Palette – If you have different wood stains or metal finishes, you will want to keep the colors of your décor items simple. Adding too much may take your design overboard. For example, just two décor colors and one unique wall color may be all you need to complete the look. Is the fabric on your antique furniture a little worn out? Are the table legs on your garage sale find looking scratched and beaten? To help incorporate your vintage furniture a little better, consider having your pieces professionally refinished. An antique refinisher can breathe new life (and possibilities) into those antique finds and help you incorporate them into your existing design. Interested in mixing and matching different furniture items to give your home a unique look? 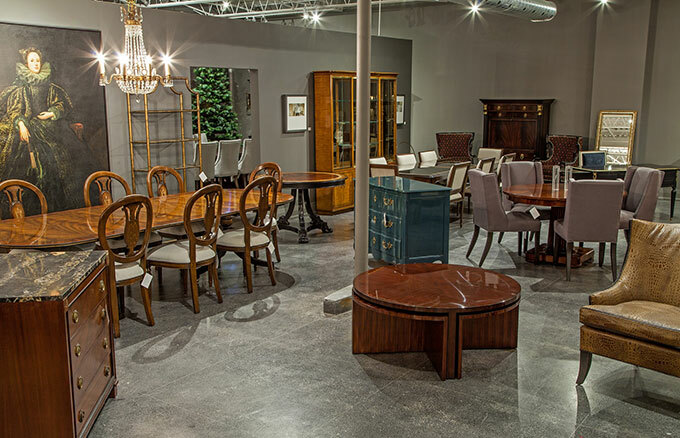 Contact our artisans at 416-999-2525 for antique furniture refinishing or visit our showroom to find that perfect piece of vintage style today.